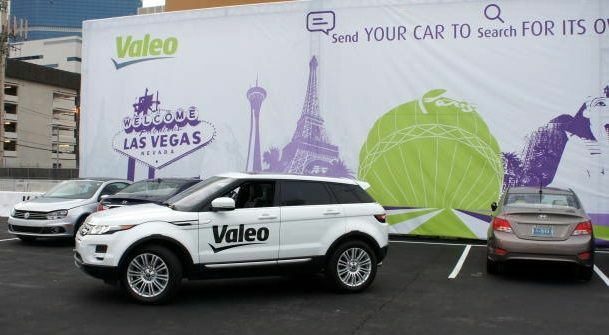 Valeo showcased a Range Rover equipped with its technology in the driverless car demo at this year's CES 2014. In the demo, a staff member standing nearby, simply swiped an iPhone app control, and the Range Rover started driving, on the look out for a parking spot. Eventually, when it did find an open spot, it parked as if a pro driver was maneuvering the steering. Surprisingly, it was even able to move forward and correct to ensure that the car was evenly between the cars to either side. The car was acting on its own, with no in-built programmed routes. The car was loaded with 12 ultrasonic sensors, six at the back and six at its front, a laser scanner mounted on its grill along with four cameras. These features come pre-loaded in the car's factory model. What Valeo has done over here is that they have added a CPU to analyze the sensor data to determine the best route into the spot along with a control unit for steering, braking and accelerating. 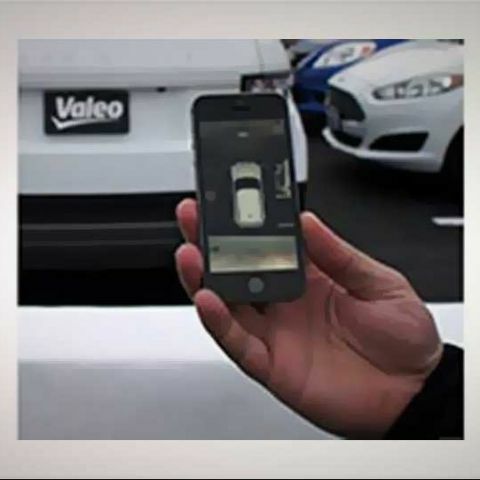 For the demo, Valeo had the phone communicate with the car over Wi-Fi. Valeo also supplies some of its technology to BMW, to enable the i3's automated parking capability, however no car manufacturer has announced the technology yet.